This information was included in a comment below but I thought it worthy of a separate post. 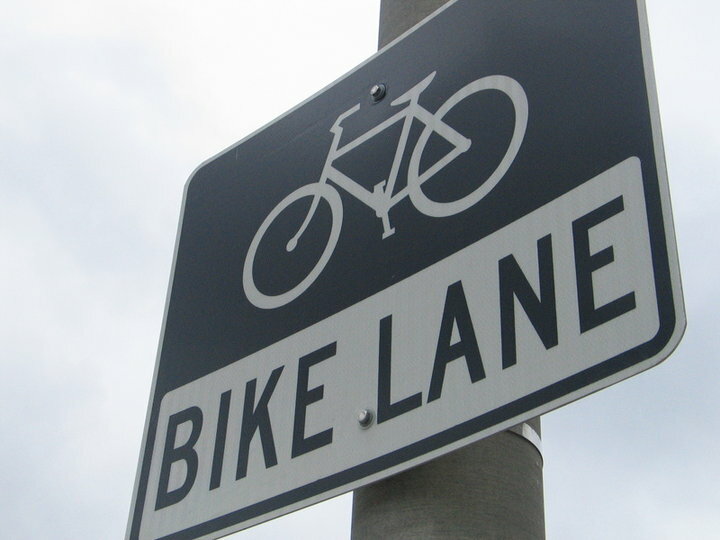 The City has eliminated two traffic lanes on Broad Ripple Avenue running (from the village to Keystone Avenue) in order to put in two bike lanes. According to attorney Mark Small who has a law office in the area, the street was already congested with four traffic lanes and now they've eliminated two of them. The bike lanes are also framed by high curbs, which as I said in my previous post is incredibly dangerous. As a bicyclist, I keep my eye on cars approaching from behind. If they don't see me or have drifted into my lane, I get off the road. I've done that more than a few times in my life. But when you have a curb there is no escape. You are dead. Just in time to get clobbered by the cars coming out of the new parking garage. These are not city people running this city. In their defense, the Broad Ripple parking garage is further down the road where there are already just two traffic lanes. The other lanes are parking lanes and there is a middle turn lane. No bike lane in that part of Broad Ripple. I suppose there has to be some federal money involved for something as poorly conceived as this to happen. They did a beautiful job on the roadway btw. College and Keystone and now they turned it into a total ugly disaster. I have yet to see one biker on these lanes. Biking in my mind was a leisure activity for exercise and enjoyment not as a major means of travel. I can only surmise that this is filtered on down from the liberal socialist idea of utopia where we have no cars and just ride around on bikes. To implement this they intend to take away, narrow and otherwise discourage driving. My conclusion is that if bikers are designated a lane taking away from autos then they should start paying to license themselves and pay a road use tax. These bike lanes on BRipple are horrible! Traffic was backed all the way back to the park every time we tried to get to Ripple this weekend. People trying to take evasive action thru the McDonald's parking lot. This was a project that came at the request of Green Broad Ripple, Broad Ripple Village Association and HARMONI...as well as a petition of close to 1000 names. This is dangerous. Very simply, it just doesn't work. Sharon, why do you think it is dangerous? I am a life-long resident of Broad Ripple and this just kills me. The traffic congestion is absurd and to boot the road is absolutely unsafe. Jamison - Broad Ripple is not structurally WIDE enough to handle widening of sidewalks, street parking, middle turn lanes, lanes and bike lanes. This was not well thought out. It creates an inconsistent flow of traffic and congestion. Someone is bound to get injured or worse. I though we were talking about BR Ave from the Monon east to Keystone? There was no widening of sidewalks and there is no on-street parking. Also, if anything it makes it more consistent since 62nd is one lane and the speed limit is considerably slower through the Village (west of Monon) anyways. The overall structuring of Broad Ripple Avenue west of the Monon was poorly thought out (lanes, parking widening of sidewalks), which is where this problem originated. I have never encountered a speeding problem through there, how could you with all the congestion? Perhaps people blowing through a red light because they are so frustrated by all of the WAITING. Now, to pile on, this new bike lane is constricting traffic that filters into a main artery that already doesn't work. Traffic was backed up to the high school this morning. More consistent flowing traffic with one clogged lane? Thanks for the good laugh on a Monday. Haha....well I think you put your finger on the problem; 62nd was never meant to be a "main artery." West of the Monon is a commercial district and should accommodate pedestrians before cars. If people are that frustrated....that is what Kessler is for; going fast between Keystone and College(you don't even have to deal with the Monon because it goes over the road). I am sorry, but I don't have any sympathy for people being stuck in traffic. People make choices where they live and work and if that means they have to rely on an automobile and all the unpredictable variables....well that is tough. Our cities have been planned around the car for the last 50 years at the expense of the pedestrian and any other mode of transportation-in this case a bike, and now that people are given options outside of a car...people are complaining about a few minutes that are added to their commute. Like I said, this was a project that was requested by groups in the neighborhood/area. Whether it was meant to be or not, it is a main artery. It is what it is. I guess time will tell how this will all pan out. I am certaily hoping for the safety of all, but I don't think we are going to be that lucky. Equally frustrated commuters with the bikers could say, that is what the MONON is for. 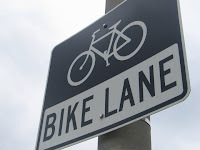 It is interesting that bikers want the equal opportunties for travel/commuting; however, they are unwilling to follow the rules of the road--like stopping at a stop sign! Opinions are like a**holes, everyone's got one. Cheers! "people are complaining about a few minutes that are added to their commute." That is not the issue. Just check out the zigzag at Evanston. It was ill conceived and implemented. They put in a bike lane on Allisonville road which is just fine as they actually made a lane. They did not remove an entire lane of traffic. I think a count of the bikes that use this should be made as I have yet to see one. So, I really don't need to shop or visit the restaurants from College to Keystone and I can go out of my way to avoid driving through there. I can go elsewhere as I intend to since this has happened making a trip through there -hell. Maybe all the bikers will keep the sales up. Jamison, yes BR Ave. west of the Monon is a commercial district, but accomodates pedestrian AND cars just fine. BR avenue east of Monon is a main artery because Westfield Blvd. picks up half of the traffic. The city did a great job getting that section to flow. It did so by having a turn lane to Westfield and one straight on BR ave. I live one block off BR ave. I use the street MANY times a day. I have witness cars shooting off onto the side streets and clogging them up and at a rate of speed WAY to fast. It is now not only more dangerous on BR ave., but also 61st and the north/south streets. I have witness Keystone traffic backed up due to the westbound lane at a stand still between the monon and Keystone at the same time westbound was at a stand still going the opposite direction. While some cars are at a stand still in the VERY confusing lanes, other cars are dangerously trying to get around the stopped traffic. I like the idea of using 61st street for bikes. What's wrong with that?